WHY GO: Performing, fine and culinary artists, as well as clothing and building designers, have been drawn to the mesmerizing Connecticut River for centuries, and after indulging in this Getaway – to Chester, Haddam and East Haddam – you’ll see why. Some of the best artists and chefs in the region create in local kitchens and studios, and since it reopened in 1968, the Victorian confection that is the Goodspeed Opera House has sent 19 productions to Broadway. 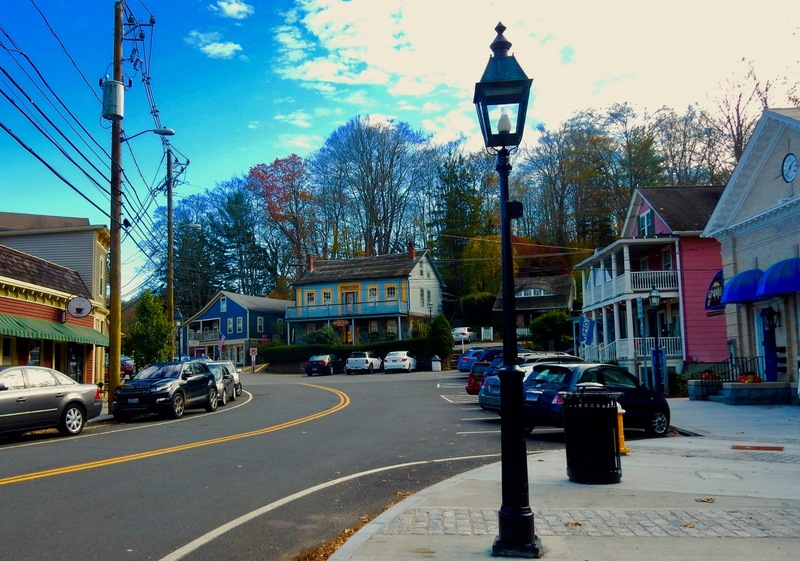 See a musical, shop in one-of-a-kind (inexpensive) designer boutiques, and end the day with an exquisite meal on this show-stopping Connecticut Getaway. BEGIN in the tiny Artist Colony of Chester, CT. Contemporary artist Sol LeWitt, whose work can be found in most world-class modern art museums (and who died in 2007) made his home here, and many others have followed. It’s the perfect place to pick up handcrafted jewelry, art, clothing, and crafts directly from the artist for a lot less than you’d pay in New York. SHOP: Lark. 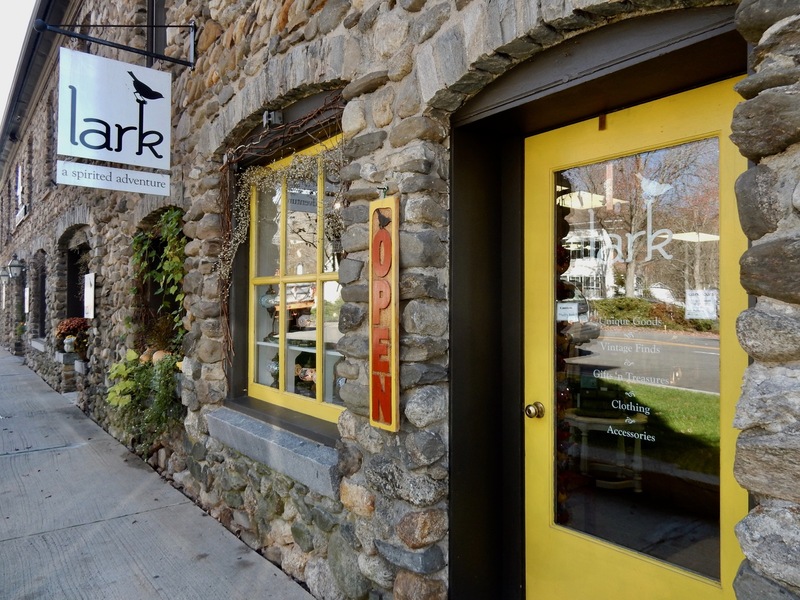 Lark’s tag line, “A Spirited Adventure,” remarks on the ’round the world aspect of this gift/jewelry/clothing/home goods shop that has expanded to nearly a block long. It’s lots of fun just to browse. SHOP: C&G. Short for Cummings & Good, this unique clothing store focuses on neutral, subdued colors and interesting, unusual textures. For both men and women, accessories and clothes are comfortable and, just as important, reasonably priced. SHOP: The French Hen. You’ll find eclectic home decor, jewelry, clothes, and gifts in this cute, artsy, feel good, independently owned shop. 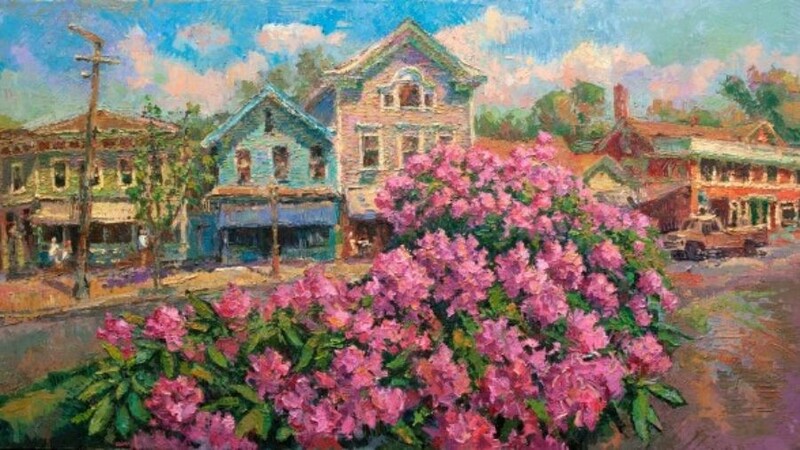 MEET: Impressionist Artist, Leif (pronounced like waif) Nilsson, who interprets the beauty of the Connecticut River and Chester in confetti-like brushstrokes, grew up in Old Lyme and was steeped in the special magic of its salt-marshes, sea views and the particular “Lyme” light that spawned the birth of American Impressionist Art. Full beard, sun-bleached blond hair and tanned sinewy body, Nilsson is the Nordic (and sane) version of Vincent Van Gogh – two ears intact. He studied art all over the world, and then came back to the area to open The Spring Street Gallery (and make his home) in the former Greek-Revival 1830 Chester Hotel (no longer in operation) with his wife, photographer Caryn Davis (©Caryn B Davis Photography), whose latest photography book, A Connecticut Christmas, quickly sold out of its first printing and is fast becoming a coveted gift for the holidays. DRIVE: on Route 154 N. to Ferry Road (about ½ mile) to the Chester-Hadlyme Ferry (April 1- Nov. 30, $5 per vehicle). 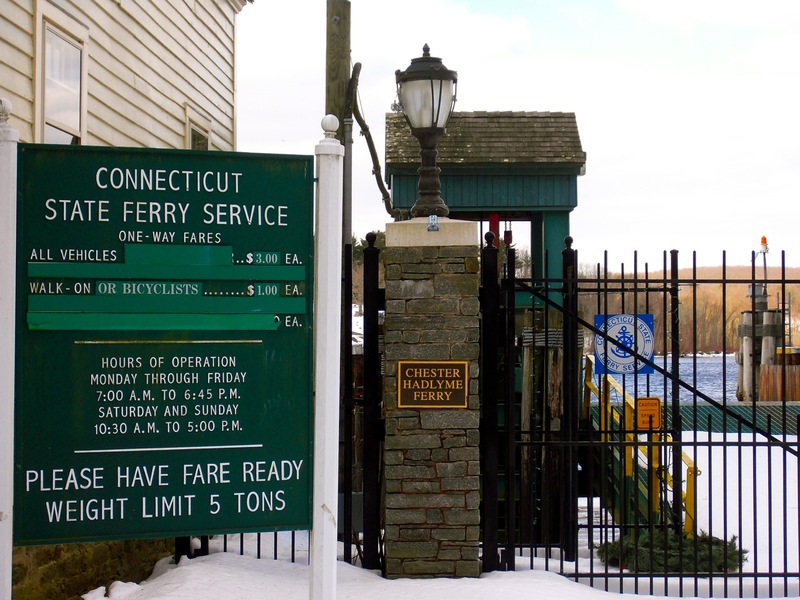 On the National Historic Register, this CT River crossing was established in 1769 (it’s the second oldest operating ferry in the country. The the oldest, in Glastonberry, is just upriver) and truly takes you back in time. The short, several minute trip will bring you to Gillette Castle, the rough-hewn granite home of eccentric Sherlock Holmes actor, William Gillette. 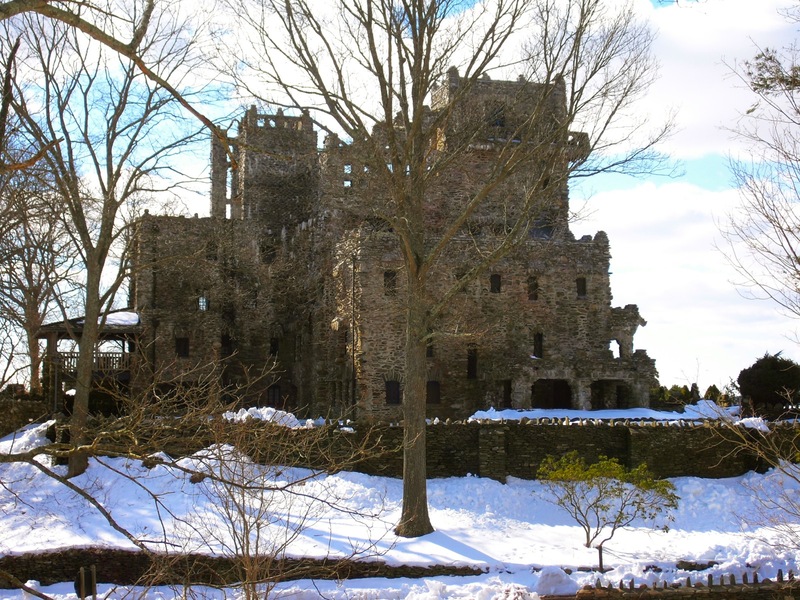 VISIT: Gillette Castle, East Haddam. This eccentric, jaggedly organic medieval structure was conceived in 1919 by William Gillette – who made his fortune portraying Sherlock Holmes on stage. Though the majestic 184-acre grounds are open year round, you can tour the home only from Memorial Day weekend to Labor Day weekend ($6 adult, $2 child). It’s worth it to see the quirky interior, carvings and hardware. DRIVE: Either cross back on the ferry, or drive 4 ½ miles to East Haddam on River Rd. N and take a left onto Route 84. 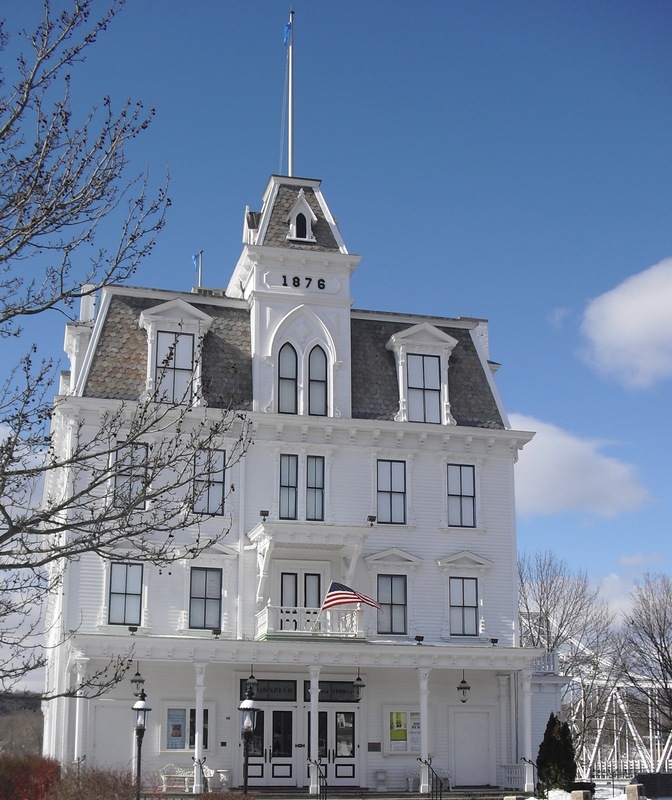 This brings you to the Goodspeed Opera House and historic Steel Truss Swing Bridge. WATCH FOR: American Bald Eagles. By the mid 1900’s, industrialization had taken its toll on most water bodies in the United States. Lakes were aflame with combustible chemicals and sewage, toilets flushed directly into rivers and the Connecticut River Valley was loosing one of its most recognizable inhabitants – the Bald Eagle. DDT made Eagle eggshells weak, and breeding diminished to near extinction. Only when the water was cleaned up, and after a 50-year absence (the last Eagle’s nest was documented in 1948 in Hamburg Cove) did the noble birds began to return. These days, Eagle Cruises are the most popular attraction during the winter months, though you’re likely to see these symbols of America throughout the year. 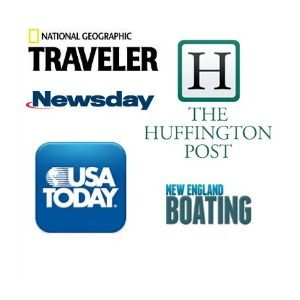 DO: Cruise on Riverquest East Haddam. Under the Swing Bridge; Captain Mark Yuknat and his wife Mindy, provide a one and a half hour annotated ride on their 54’, 50-person vessel, Riverquest, with its mission to educate groups about the history, ecology and use of Connecticut’s mightiest river. Much of the land fronting the Connecticut River belongs to the Nature Conservancy, Lyme Land Trust or other wealthy landholders, and as such looks the way it must have looked when old Clippers got caught up on the ubiquitous sandbars that make the entrance to the Connecticut River so treacherous. The rare Virginia Rail bird still breeds here, and Ospreys find comfy accommodations in mid-river day markers. Cruise times and dates vary throughout seasons, $20pp for 90-minute day cruise. SEE: A Musical at Goodspeed Opera House. Built in 1876, marked for demolition in 1958, and saved at the 11th hour to be reborn in 1963, this beaut of a building right on the river (with dock space, even) is “dedicated to the preservation and advancement of musical theater.” On the docket for 2018: The Will Roger’s Follies, Oliver!, and Woody Allen’s Bullet’s Over Broadway. EAT: River Tavern, Chester. Polished wood floors in a room fit for Yoga class, a teak and zinc bar set off by bright red stools and vibrant local art set the stage for tantalizing from-the-ground- fresh cuisine. EAT: Grano Arso Chester. 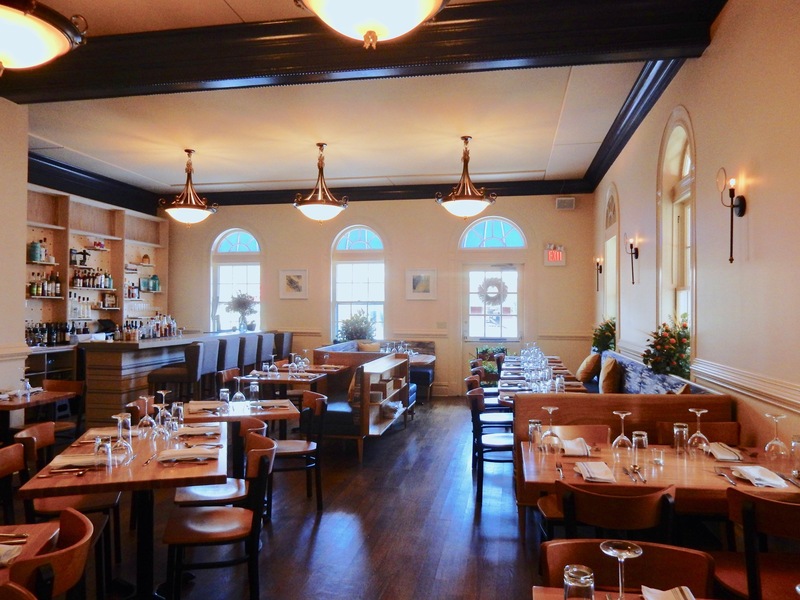 To say that the advanced buzz about this just opened (Nov. 2017)”locally inspired, seasonal, all natural” Italian restaurant, helmed by chef/owner Joel Gargano, has been extremely positive is an understatement. Locals are raving about this new kid on the block. 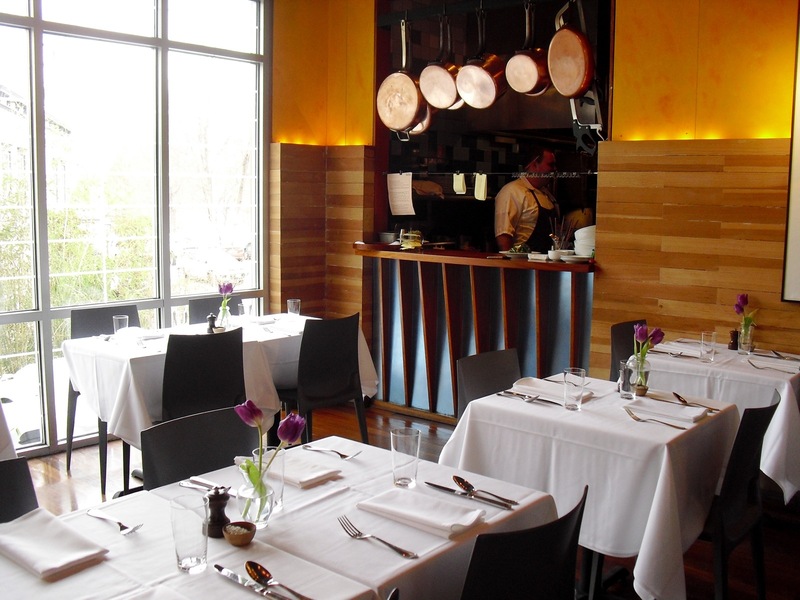 Chef Gargano is particularly proud of using house-milled flour for his scratch as it gets Whole Grain Pasta. EAT LUNCH: Simon’s Market, Chester; The heartbeat of Chester is Simon’s Market, a family owned breakfast/sandwich/gift shop that has become the de facto meeting place for locals. “A lot of great ideas that have been implemented in town are dreamed up here,” locals admit. Along with coffee and Morning Glory muffins, you can pick up some Meyers cleaning products, a Sigmund Freud Action Figure, pour-your-own olive-oil, and an ice-cream cone, among a bounty of other knickknacks. EAT: Blue Oar. Haddam. From Mother’s Day to Labor Day, this Caribbean-yellow spot, ample decks filled with colorful tables and chairs, sparking lights, far from any downtown, overlooking the Connecticut River, is full to bursting. Great food and perfect setting for a night of bliss, it’s where river rats go when they grow up. BYOB, Cash only. DRINK: Pattaconk, Chester. In the mood for a Dogfish Head, Anchor Steam Beer or Sierra Nevada? 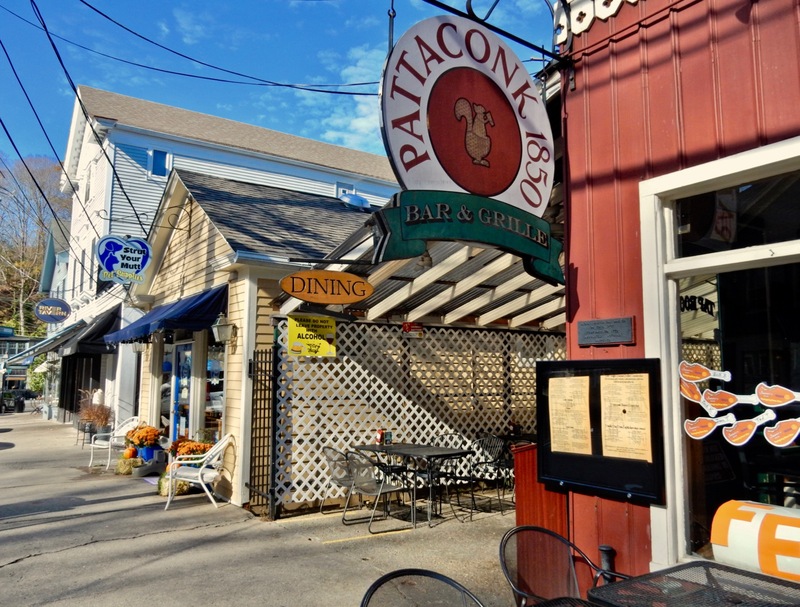 Join the jolly crowd at the 1850 Pattaconk; where the outside patio generally throngs with serious lager drinkers till 2am. Once owned by New York writer and glamour-girl, Katherine Brush, this stately 4 room, one-cottage B&B on a bluff overlooking the Connecticut River had “gone to seed” by 2002 when Maryan and Jeff Muthersbaugh discovered it. They worked on the home – part of it built in the 1700’s and two wings added in the 1920’s – every weekend for nearly seven years, then began taking guests in 2009. Since then, the Brainerd House has been featured on the HGTV show “If Walls Could Talk” and in 2011,Yankee Magazine bestowed its “Best Hilltop Cottage” in New England on the B&B’s separate honeymoon cottage. Ask Maryan or Jeff to crank up the 1904 Columbia Records Graphaphone in the dining room (it still works; just missing a Fox Terrier) while you feast on a candlelit breakfast that includes Maryan’s sinful signature baked apple. STAY: Chatfield Hollow Inn, Killingworth. Just 15 minutes from the CT River, Chatfield Hollow Inn is a trend-setting in the woods 5-room B&B – and another Maven Favorite with its own write-up HERE. So much to see and do in a wonderfully condensed and walkable town!